There are multiple sources of weather observations at 10 meters and below, including both public (like the National Weather Service’s Automated Surface Observing System (ASOS) network) and private (like WeatherFlow’s Coastal Mesonet and Hurricane Network). However, there are far fewer sources of reliable data above 10 meters, which has been a significant limitation as commercial scale wind turbines have reached hub heights of 80 meters, with 100 meter models on the drawing boards. 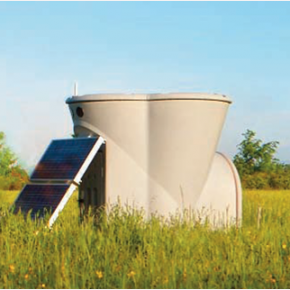 While individual wind farm projects often have one or more associated meteorological towers, there is a need for a more broadly spaced network of sensors to sense and report wind and weather conditions at least up to hub height, and ideally to the top of the swept zone and above. 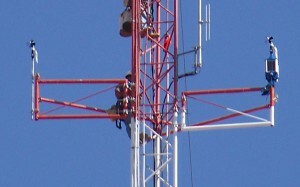 Building on our experience with operating weather observing networks and installing a variety of sensors on towers and other platforms, WeatherFlow is working actively with several partner groups and had begun installation and operation of just such a mesonet to support the wind energy market. Sensor configurations that are being pursued include traditional anemometry mounted on existing commercial tall towers and dedicated meteorological towers, plus remote sensing technologies like SODAR and LIDAR profilers. Data from the network of sensors will be consolidated and provided to operators for use in resource assessment, load planning, operational scheduling, and situational awareness of weather hazards like shear, turbulence, and severe weather.